”Hollywood Glamour, Vintage Sound, Popular Songs"
Miss Kiddy and the Cads present a unique and extraordinary show for the most discerning and style conscious of audiences. Miss Kiddy turns back the clock on every performance to a time of decadent style and sass.. expect all the best pop hits - from Bowie to Beyoncé - with a vintage make over; swinging beats and toe-tapping finesse! 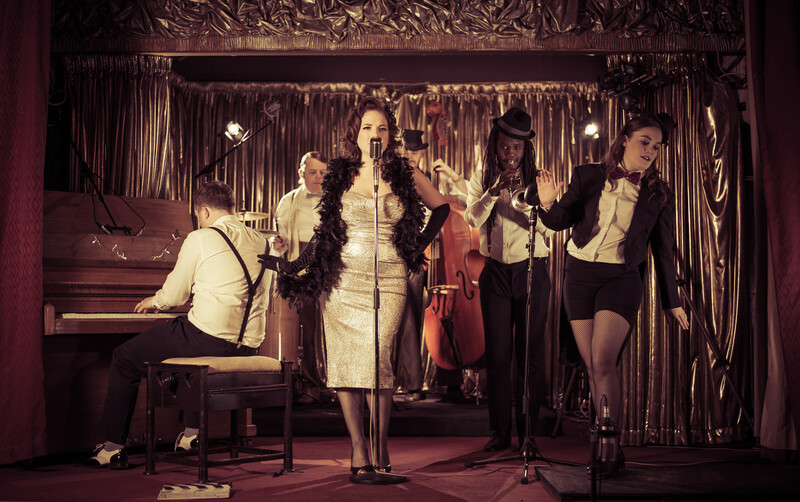 This Vintage Musical Sensation features a virtuosic 5 piece band plus stunning tap dancer and launched in 2016 to a sold out crowd at The Pheasantry Club in London. Since then, Miss Kiddy and the Cads have been selling our shows around the UK at venues such as the Underbelly Festival, Southbank and Pizza Express jazz club, Soho as well as being a huge hit at the Summer festivals including Henley Music Festival, Goodwood Revival and Bestival. Miss Kiddy and the Cads headlined the reopening of London’s Iconic Simpsons on the Strand restaurant and also brought in the New Year this year at The Savoy Hotel, London. Following the release of their CD ‘Live at Pizza Express Soho’ in 2017 and all shows being sell outs plus appearing on Radio Kent’s ‘Kent Sessions’ Miss Kiddy are and the Cads are delighted to bring their show to Toulouse Lautrec for our last intimate gig of the year! "Note-perfect… the audience loved it!" "The (Miss Kiddy and the Cads) show is hugely entertaining… these imaginative new (but old) versions are playful, sophisticated and witty."